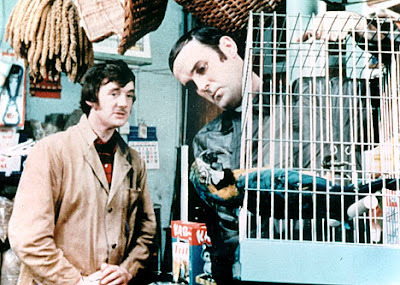 Q: Where do sick parrots go? A: To a Polly Clinic. Apart from the possibility of adding to the national stock of unhilarity (as Rowan Williams might put it), it's hard to summon up warm feelings towards the plans, outlined by health minister Lord Darzi yesterday, to replace traditional GP's surgeries with larger, more specialised, "polyclinics". He looked forward to the time when most people's experience of local medicine would take the form of visits to a large health centre, possibly run by private companies, where around 25 doctors would work alongside other medical staff to serve the population of a small town. Think Tesco health. Many doctors, not surprisingly, are unhappy. By pooling GPs in these super-surgeries ministers claim to be "extending choice and diversity". It is however plainly a scheme for money-saving "rationalisation". Nothing wrong with efficiency. What makes this scheme downright barbaric is its inhumanity, its fundamental misunderstanding of what medicine is, or ought to be, about. There can be few more comforting phrases in the English language than "family doctor". "Polyclinic", by contrast, is a cold, technical, bureaucratic sort of a word, as impersonal in concept as it will no doubt seem in reality. By removing the element of continuity, the personal relationship between doctor and patient developed over years, sometimes decades, the "polyclinic" threatens to sever the practice of medicine from its roots in the tradition of Hippocrates. Medicine, at its basic, non-specialised level, has always been an art as much as (or more than) a science. Healing is often basically voodoo or, to put it slightly more politely, an exercise of the placebo effect. The GP may be a highly-trained professional, but he or she is also in large part counsellor, shaman and priest: trusted, impartial but also (in a special kind of sense) a friend. Experienced doctors know their patients as human beings, know their foibles and peculiarites, will often be able to spot signs that something is amiss that in another patient would show no cause for concern. General practice is, in the best sense of an overused and misappropriated word, holistic. In the word of the "polyclinic", doctors will no longer know their patients as individuals. They will be cases, discrete packets of symptoms, summed up by a series of numbers revealed by batteries of semi-compulsory diagnostic tests and recorded on a giant database. Instead of trusting a known professional, patients (or rather, I suspect, "clients", a word whose original Roman meaning becomes every day more relevant) are to place their trust in the machinery, literal and metaphorical, of the system. Doctors will become mere technicians, applying procedures and formulae, meeting targets, producing desired outcomes. Perhaps there will be benefits for some in terms of convenience or comprehensiveness of cover. But the price will be paid in the further objectification and commodification of human life. Polyclinics are for the birds.